One of the most common problems I’ve seen when helping people with their genealogy is needing to get past their own assumptions. For example, a common assumption for people researching their family that came to the US is that their names were changed at Ellis Island (they were never changed there, see my article Name Changes at Ellis Island on that topic). Once you get someone to understand that name changes were not done at Ellis Island, you can then get them to start researching other places that the name change might have been registered (such as courts in NYC) or other places where the original name might make an appearance (such as in naturalization papers). While finding these kinds of sources can be difficult, I’ve found convincing someone that their assumption about when their family’s name was changed can be significantly harder. One of the keys to successful genealogy research always needs to be to keep an open mind. Don’t get stuck inside a box just because family lore passed down a story and it must be true. 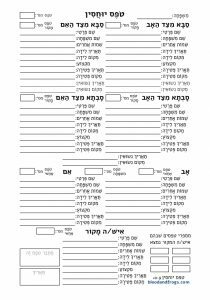 In Jewish genealogy, there are some common areas where people in my experience seem to get stuck. Here are a few of them. Most people don’t realize that a hundred years ago and more, the spellings of names were a lot more fluid than they are today. This certainly varied by country, but remember that people moved around and between countries that even used different character sets. Sometimes when someone moved to the US, they found their relatives used one spelling and they had chosen a different spelling. Sometimes they changed their names to match their already established cousins, but sometimes they didn’t. One example in my family was a relative who was born with his mother’s surname (Lichtman) and continued using that name after moving from Poland to Germany, but when he moved to the US he wanted to take his father’s surname (Berl) but found his cousins had already taken the name Berlau (because it sounded better to them) and he thus took the name Berlau to match his cousins. If you were researching this family, and knew they lived in Germany you wouldn’t find Berlau, because they lived under the name Lichtman, and if you knew they were originally from Poland you also wouldn’t find they because his family’s name there was Berl. 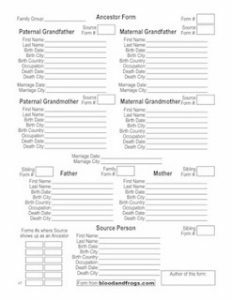 For more information on why it was fairly common in some areas to take one’s mother’s maiden name instead of your father’s surname, see my article Religious marriages, civil marriages and surnames from mothers. That might be more of an extreme case, but I’ve seen people insist that their family was always something like Horowitz, and the record showing a Horovitz couldn’t be the same family. I’ve also seen records in my research where the same family had their records listed with many different spellings, including starting with different letters altogether – such as Cellerkraut and Zellerkraut, or in my own family Zylberman and Silberman (and later in the US Silver). So keep an open mind about spelling. Even if you found a document in the old country that has the spelling you think is right, that doesn’t mean every document will share that spelling, or that every family member used that same spelling. One of the most famous rabbis of the 20th century in the US was Rabbi Joseph B. Soloveitchik (referred to by many as The Rav). His brother Ahron spelled his last name Soloveichik (without the t). If you were researching that name you would need to be flexible on spelling. Given names are also a source of much confusion. It wasn’t uncommon for Jews in Europe to be known by at least three different names simultaneously. They had a ‘Jewish name’, a nickname and a secular name (kinnui). For example, my grandfather’s name at birth in Vienna was Jakob. As a child in Poland he was known as Yankel (a pet form of Jakob). 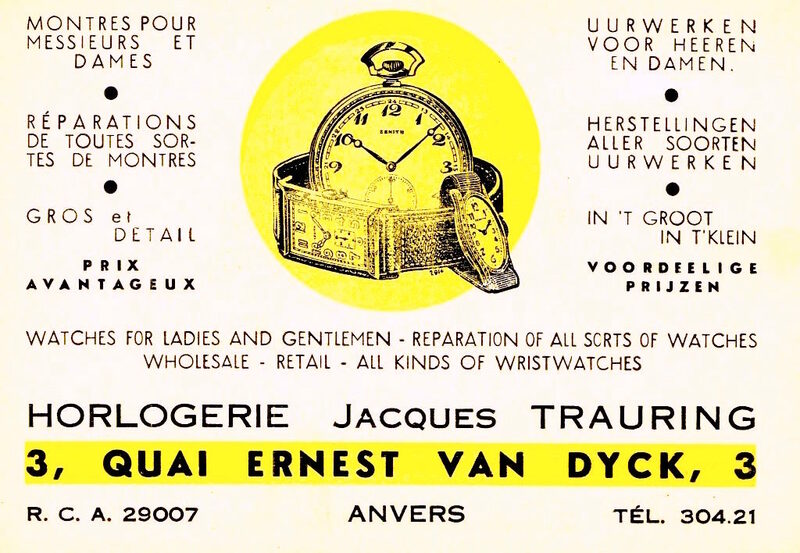 He later moved to Antwerp, Belgium where he spelled his name Jacob, but was known professionally as Jacques (the French form of Jacob). When he moved to the United States his name was listed as Jacob, but he quickly started using the name Jack (which is phonetically similar to Jacques, but derived form the name John, not Jacob). So within a string of about 15 years (and 4 countries) he used the first names Jakob, Jacob, Yankel, Jacques, and Jack. That doesn’t include the Hebrew form of his name Yakov, which is what he used in a religious context. That also doesn’t take into consideration variant spelling that might show up in documents, such as the common spelling Jakub instead of Jakob in Poland. Imagine researching my grandfather knowing nothing more than his commonly-used first name Jack. Jack in English is derived form John. Maybe you’d recognize that John is an uncommon Jewish name, and look for something else. Maybe you would guess Jacob (or find his Hebrew name Yakov and derive Jacob from that), but would you think to look for the French form Jacques in the capital of the Flemish-speaking region of Belgium? Would you look for variant spellings Jakob and Jakub in Poland or Austria? This is a real example of the kinds of variations in given names that occurred very frequently. So keep an open mind as to the variations in given names. This section should really be called “Location, Location, Location” but most times I’ve run into this, it’s involved Russia. The reason Russia is such a problem is that Russia the country was preceded by Russia the Empire, which was considerably larger than Russia is today. It was more or less the size of what the Soviet Union was in its heyday for those who remember somewhat-more-recent geography. In addition to the size of Russia, there was also an uneven distribution of Jews in the empire. That’s because in 1791 Catherine the Great created the Pale of Settlement, a large region on the western side of the Russian Empire which was the only region in the Russian Empire where Jews were allowed to live. This was because Russia had acquired these territories through a series of wars and diplomatic maneuvers and there were too many Jews to expel (that had been tried, but without success). The Pale consisted of the region that today includes most of Belarus, Latvia, Lithuania, Moldova, Poland, Ukraine, and small parts of western Russia. That is, Jews lived in all of these countries, and for the most part didn’t live in the great majority of what today is Russia. That’s not to say some Jews didn’t live in Russia itself. There are always exceptions to the rule. However, if you’re researching your family which came to America in the 19th or early 20th century from “Russia” then it’s far more likely that they did not come from what is Russia today, but rather one of these other countries. When researching your family who you’ve been told came “from Russia” you need to keep an open mind as to where they actually came from, and look at all of these countries as possibilities. One interesting hint you can find is to look at census records and passenger manifests and see if they list the language spoken. The country of origin may be “Russia” but if the language is “Latvian” it’s a good bet they were not from Russia. Other records like naturalization papers, military draft records, and historical newspapers can all be useful to help piece together where your family originated. For more information on these sources of information, see my article Finding Information on US Immigrants. This advice applies to all countries, even if Russia is the best example of a source of confusion. Poland is another good example of a place with confusing boundaries. Poland was divided up among the major powers of the past few centuries several times. Parts went to Germany, Austria and Russia in the 18th and 19th centuries. In the 20th century it became independent after WWI, only to be occupied by Nazi Germany in WWII. After WWII, parts of Germany were transferred to Poland, while parts of Poland were transferred to the Soviet Union. In short, it’s possible for one person to have lived in easily four different countries over their lifetime without ever having moved. The borders just moved around them. Take for example, Brest (Brisk in Yiddish – the home of the Soloveitchik rabbinic line), which had been part of the Polish-Lithuanian Commonwealth before the third partition in 1795, when it was transferred to Russia. During WWI, the city was captured by Germany, although Germany lost it when they lost the war. After brief stints in the short-lived Belorusian Democratic Republic and Ukrainian People’s Republic, Brest became part of independent Poland in 1921. Poland was of course invaded by the Germans, although it was initially divided with the Soviet Union, who took control of Brest in 1939. In 1941, Germany broke their pact with the Soviet Union and invaded, taking Brest (along with a lot more territory). In 1944, the Soviet Union re-took Brest, now from Germany, and after the war it became part of the Soviet Union. After the fall of the Soviet Union, Brest became part of an independent Belarus. If I’m counting correctly, someone born on the eve of WWI in Brest, and still living in the 1990s, would have lived in seven different countries. JewishGen’s Locality Pages (reachable by searching their Communities Database) can be useful for determining the history of where a town was located. Although they won’t give the granularity of the above description for a town, it does, for example, show that Brest was part of the Russian Empire, Poland, the Soviet Union, and now Belarus (see the Brest, Belarus page). It also shows some of the variant names of the town, has links to many resources for the town, and shows towns with Jewish communities that are near Brisk. In genealogy we talk frequently of brick walls – those insurmountable challenges, finding one more generation back, finding that one piece of information that links one family to another. Sometimes those brick walls take years to break through, until a new database gets indexed and posted online, you find that one document in an archive, or you find that distant cousin with the last piece of the puzzle hidden away in an album or desk drawer. My advise is simply not to add more bricks to your walls. Make you research easier by not limiting the avenues you pursue. Always be willing to check variations in names and places, and never take any story at face value without multiple supporting documents. Even with multiple documents, if you’re hitting a dead end, double-check everything. If you received information from relatives without supporting documentation, then research it all from scratch, and add sources to your records so you know what is accurate, and what still needs more research. I liken genealogy to detective work, and just like a detective needs to document all of his sources, you also need to document what you do, and make sure everything is linked to multiple sources. If you do discover that your family’s ancestral town is in Ukraine, not Russia, or that your family name in Europe was Zylbersteyn, not Silver, you’ll then have all the supporting documents you’ll need to convince your family members, close and distant, of what you’ve found. You’ll also, and this may seem silly but I can’t tell you how many times I’ve done this, be able to convince yourself at a later date that the information you have on a specific person or family is accurate. The earliest research I did, probably twenty years ago, had no sources at all. I just entered what I found and wrote who I got the information from, but didn’t link to any sources. When I research the same people today and find conflicting information, I have nothing to compare to from twenty years ago, which is a problem. In short, step out of the box when researching your family, and be open to your relatives having been wrong about some aspect of your family history (my grandfather told me our family was from one town in Galicia, which we were, but just one generation earlier had come from a different town that had much more information on our family). No name has a set spelling, and no information should be considered the truth without multiple sources to back it up (and even then be open to conflicting information). Thank you, thank you, thank you? Over 25,000 resources for pursuing your Jewish genealogy research in over 200 countries and territories.